Why develop petrochemical processing ? BAHX can handle many different fluids at very different pressures/temperatures in the same exchanger. The cryogenic distillation requires BAHX in order to cool down streams to very low temperatures. 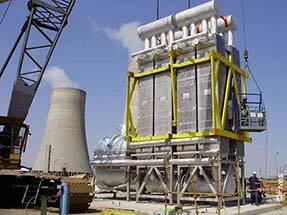 They are also used as condensers and reboilers on the distillation columns. 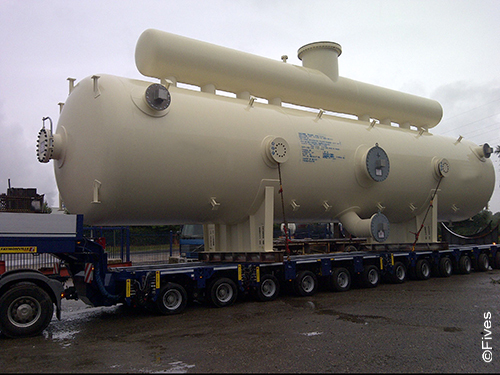 Fives is a leading manufacturer of equipment for the petrochemical industry. Fives and its Cryogenics | Energy business line provide ultimate performance brazed aluminium heat exchangers which combine multi-stream capacity (up to 20 different streams in parallel) and design flexibility. With over 150 cold boxes and cores-in-drums manufactured since the 1970s, Fives is a world leader in the supply of brazed aluminium heat exchangers (BAHX) and associated equipment for petrochemical processing plants. All major process licensors and engineering companies have trusted Fives for its capabilities in this sector.